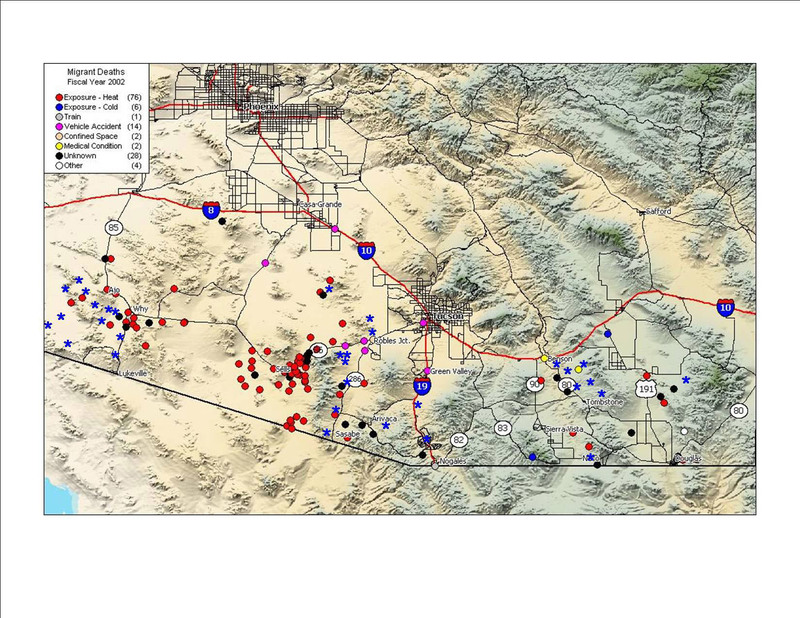 In partnership with the Pima County Medical Examiner’s Office, we have created an updated migrant death map, formally known as the Arizona OpenGIS Initiative for Deceased Migrants. 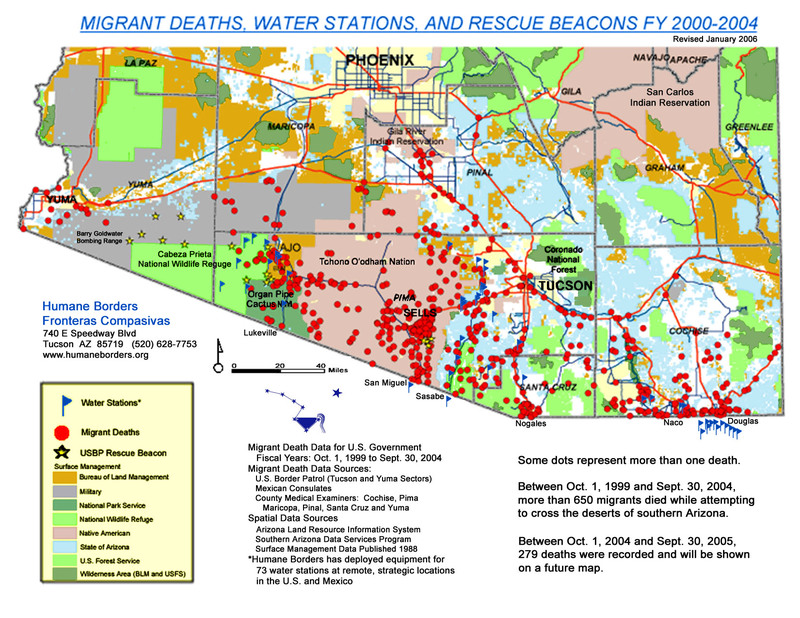 The map is searchable. 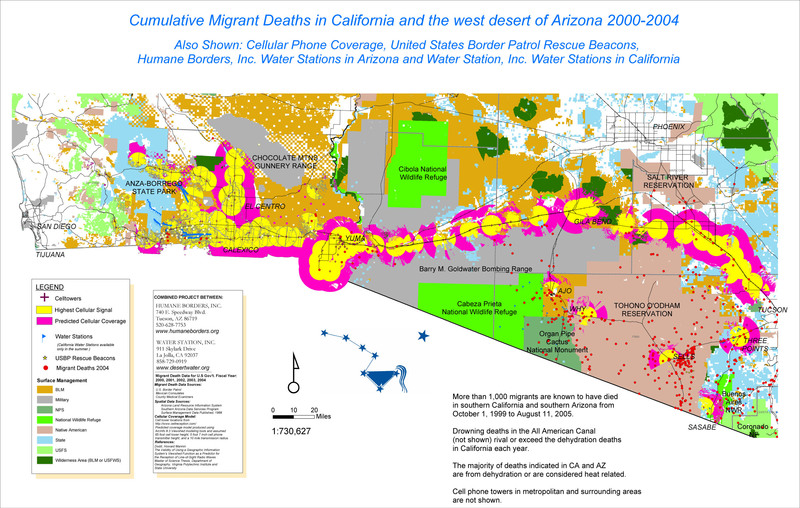 Viewers may see the exact location where each migrant body has been found, along other information, such as the name and gender of the deceased (if known and if the family has been notified), date of discovery, and cause of death. Many of our older maps are low resolution JPEG files that are suitable for most purposes; if you need a full scale map for research, please contact us and we’ll be happy to work with you. This information is valuable to families of the missing, academic researchers, news media and other interested individuals. 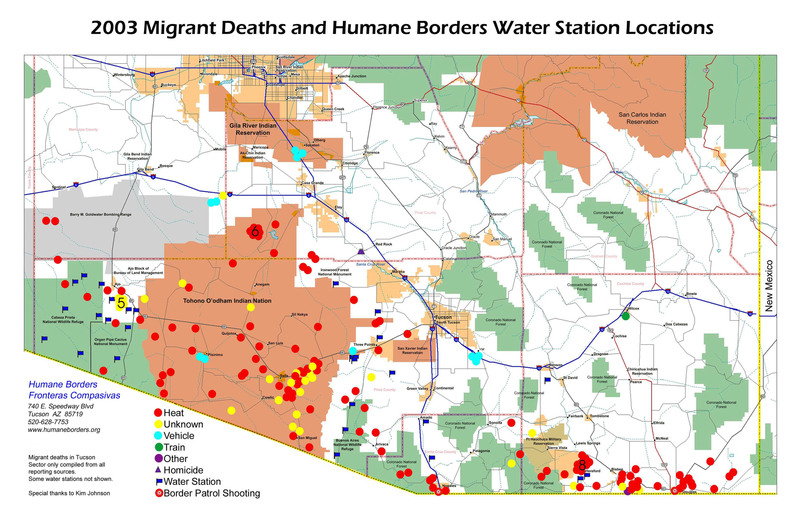 Humane Borders uses this information in collaboration with land owners and managers to determine where water stations will be most helpful in preventing migrant deaths. 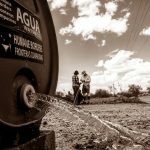 Humane Borders has developed posters for distribution on the south side of the U.S. – Mexico border. 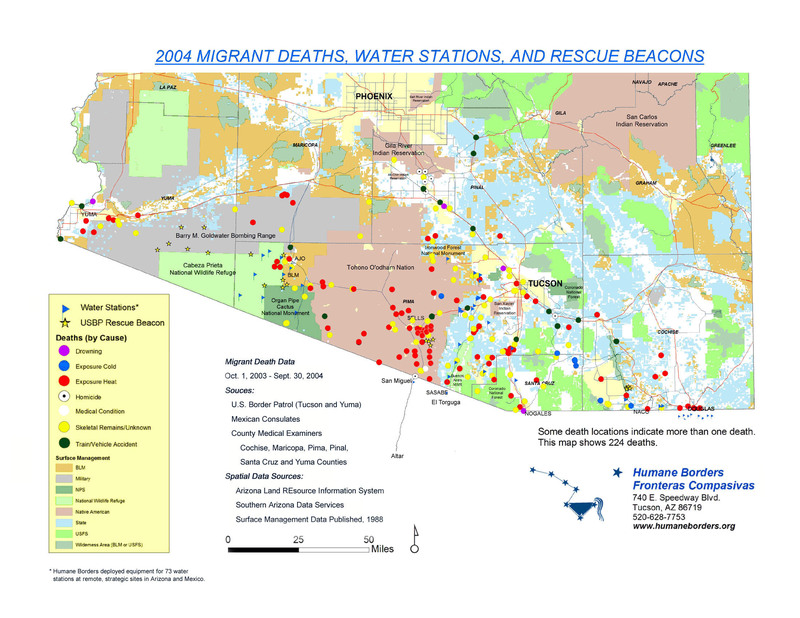 The posters include estimated walking times from various entry points, as well as the sites of migrant deaths and the location of water stations.